Our awesome 12.21.12 Party "Geek On the Go"
X rolled a 4, Y rolled a 2. X= Klingon Battlecruiser applies 2 points to capacitor. Klingon Battlecruiser reinforces starboard shield by 1 point. The second turn is complete. Both ships moved diagonally towards each other. The Klingon now has enough energy stored for its first volley of photons and disruptors, and reinforced the shield most likely to take fire from the Federation ship. The Federation ship needs 2 more points to be ready for that volley. The next turn will involve the first exchange of fire. 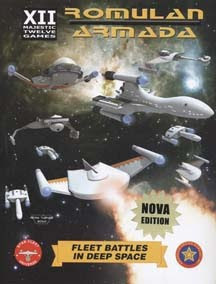 Fleet Action. Head-To-Head Bare Knuckles Naval Combat. Boarding Party Action. Solid Interactive Storytelling Like No Commercial Game Can Offer. How Much Star Trek Can You Handle? X rolled a 6, Y rolled a 2. I'll make a note below to help remember. In this case, both ships will store those points in the capacitors. This way they can be used later. 4) Determine any damage and update systems status. The first turn is complete. All we did was place our ships on the map, establish their course (there are no rules for that- it's just to start the game), roll a 1d6 for each ship, and allocate those points. In this case, we stored the points (used as energy) in the capacitors. -Each takes 2 points to fire and does 5 points damage. You start at speed 2. A standard heavy cruiser can store as much as 10 points in its capacitors, so they can allocate power to reinforce vulnerable shields to give full power to weapons when they need it. Standard Heavy Cruiser has a turn rate of 4, meaning that 4 movement points are used to turn 180 degrees, or 45 degrees per movement turn. Here is the sequence of play. 1) Move/turn based on speed and player discretion. Move one space or turn (based on rules stated above) for each 'point' of speed. For example, a speed of 2 moves 2 spaces. Reversing course follows the same rules as changing speed. It tskes place at the same time as changes in speed. Reversing course requires points equal to the player's current speed, plus the desired reverse speed. For example, if you are moving at speed 2 and want to execute a speed of -(negative) 2, the maneuver will take 4 points. Two rolled points are required to repair a system/shield by 1 point or to reinforce a shield facing. You can target a specific system if you fire through a downed shield. The cost for this is that the damage done is reduced by half. Sensors- You fire blind. Any firing at any range requires a 1d6 roll of 1 to hit. You must reacquire target each time until sensors are restored. Shield Generator-Drops all shields. Repairing this will restore previous shield status. Warp-This is the warp core. When it takes all damage points your ship blows up. Bridge/Aux Bridge and Computer/Aux Computer- You can lose either the primary or the auxiliary system and not lose the ability to fight. But if you lose both primary and auxiliary systems (for bridge or computer), your ship is dead in space and you lose the engagement. Kapact's Rant: The Internet's Only Reliable Blog!